Dr. Andrew Pecora, board certified in internal medicine, hematology, and oncology, specializes in bone marrow transplants and melanoma treatment. Recognized as one of the leading experts in blood and marrow stem cell transplantation, cellular medicine, and immunology research, Dr. Pecora currently serves as Chief Innovations Officers and Vice President of Cancer Service at the John Theurer Cancer Center at Hackensack University Medical Center. 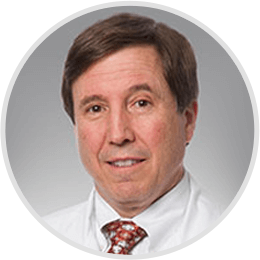 Dr. Pecora has dedicated his career to the advancement of treatments for cancer and melanoma patients. As a senior doctor at one of the nation’s top cancer centers, Dr. Pecora is actively involved in clinical evaluation of novel cancer therapies including immunotherapy and stem cell related treatments. He has led award-winning research funded by the National Cancer Institute and the AHEPA Research Foundation. His work and contributions to the field have earned him the ASCO Cancer Foundation Research Award and the Gallo Award for outstanding cancer research. Dr. Pecora received his medical degree from University of Medicine & Dentistry of New Jersey (UMDNJ). After completing his residency at The New York Hospital in internal medicine, he had a fellowship in hematology/oncology at Memorial Sloan-Kettering Cancer Center in New York City. He currently holds an permanent academic appointment at University of Medicine and Dentistry of New Jersey (UMDNJ)–New Jersey Medical School. He is an active member of various professional associations and organizations, including the Academy of Medicine of New Jersey, American Society of Clinical Oncology, International Society of Hematotherapy and Graft Engineering, among others. Dr. Pecora has received numerous honors and awards. A recipient of the ASCO Cancer Foundation Research Award and the Gallo Award for outstanding cancer research, Dr. Pecora is also listed in America’s Top Doctors, a peer-reviewed publication.